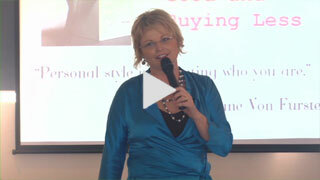 Need an engaging speaker or MC? I often present to audiences as hard to impress as those from top tier law firms, the world’s elite banking and finance institutions and senior managers and directors from professional services firms. It is both a pleasure and a privilege to design and deliver a presentation that ‘hits the mark’ with these audiences and has them thinking and feeling differently. I have delivered keynote presentations as short as 15 minutes and as long as 2 hours. I’ve delivered presentations within organizations, for networking organizations and for expos and conferences. I have been the solo presenter as well as being part of a speaker lineup gathered together around a specific theme. “Jill Chivers presented to our group recently and the result was outstanding. We had a turnout of participants 30% higher than the average – our biggest meeting ever. Getting media attention is a hot topic amongst business women and Jill is the pick of the crop as a trainer in that field. Jill is an entertaining and impeccably prepared presenter. She’s an entrepreneur who walks in the shoes of her audience, so her information was spot on. The buzz on social media after Jill presented proved to me what a powerful impact Jill had on the group. The actions taken and rewards gained by our women in the following weeks demonstrated that Jill’s technique gets results”. Click below to go to Jill’s video speaking page to watch her in action. As an MC at your conference, expo, summit or event, I make sure I’m fully prepared and know your event inside out. I prepare thoroughly. I also possess that unique combination of skills that encourages delegates to participate, informs them of crucial details, and stimulates engagement all the way through. I’ll bring humour, warmth and enthusiasm to your event as Emcee, qualities that energise delegates and participants. I’m tuned into the audience and am able to provide what’s needed throughout the many phases of your event to keep proceedings rolling along. Check out my Ultimate MC page here where you’ll find more information on what I bring to your event, conference or expo as a master MC. Contact me today to start the conversation about what you want your special event to be, and how I can help you create it as its MC.